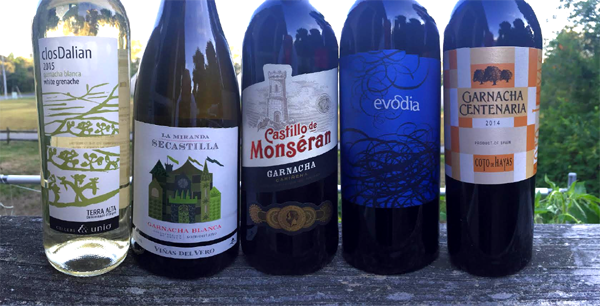 On the 16th of September I was lucky enough to be a part of a Snooth.com online tasting for #GarnachaDay. It was hosted by Master Sommelier Laura Maniec with Master of Wine Christy Canterbury as a guest, both on video while the rest of us were on chat that was connected to our Twitters. When this happened I had a lot going on and wasn't sure if I'd be able to make it that night, and luckily I was. But not as organized and prepared as I would have liked to be. I didn't take notes (dumb), didn't spit (dumb), and had to be up incredibly early the next day. Regardless, it was a fun time had by all and I was honored to be invited. Here I'll be giving just a quick rundown of what I thought of the wines. So, being an idiot I messed up the order and started tasting the La Miranda while everybody else were tasting the clos Dalian. So here I was saying that my bottle was corked while everybody was drinking from a bottle with a screw cap! D'OH! Eventually I noticed I was on the wrong bottle. But the La Miranda was corked "unless anybody else is getting wet basement." I felt this one was oily, lanolin-y and lemony with some musk. An enjoyable wine but nothing to write home about. This wine is a staple suggestion of mine for people looking for inexpensive reds. It's ridiculously afforable, light and fluffy and juicy with bright strawberries. Give it a slight chill and pair it with shrimp cocktail. It's also good for making Sangria. This was one of the wines I drank a lot of when I started getting into wine, so nostalgia makes me believe that it used to be better than it is now. Evodia is medium bodied and more herbal than the Monseran, and the fruit is more like black cherries and Fruit Rollup than lighter red fruits. It's a nice deal for the price. One of the ladies on camera compared this to a Malbec and she was absolutely right. And guess what? It's got my favorite aroma: alcohol burn. At this point I was a bit, uh, "not sober" so specifics are lost to me but I do remember that it had some blueberry pie going on there and it was awesome. The clear winner of the night. Thank you, Snooth.com, for putting this on and having me be involved! I hope to do it again next year with a quicker follow-up and better notes. 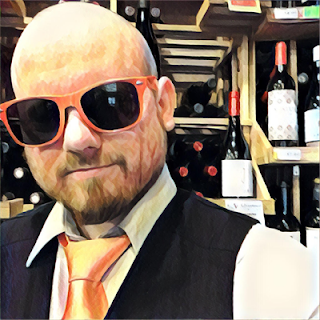 Wine Reviews: Best of Fall 2016!